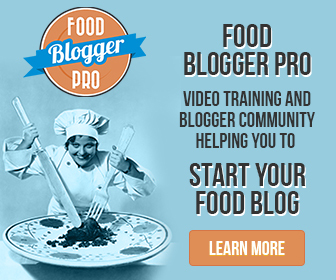 Are you in charge of cooking the Holiday turkey this year? 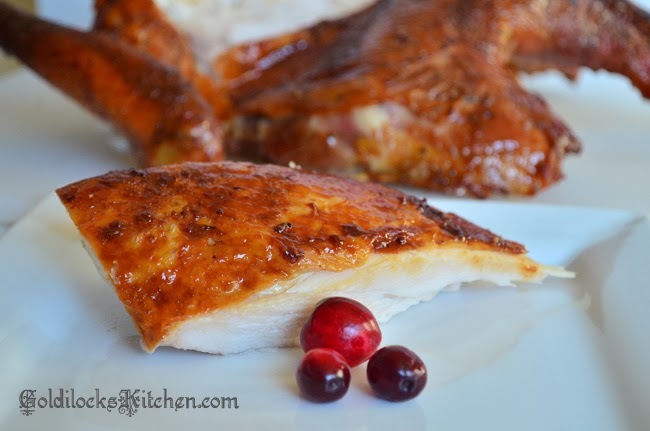 If you really want to impress the family and friends around the table, this turkey recipe is a sure hit! 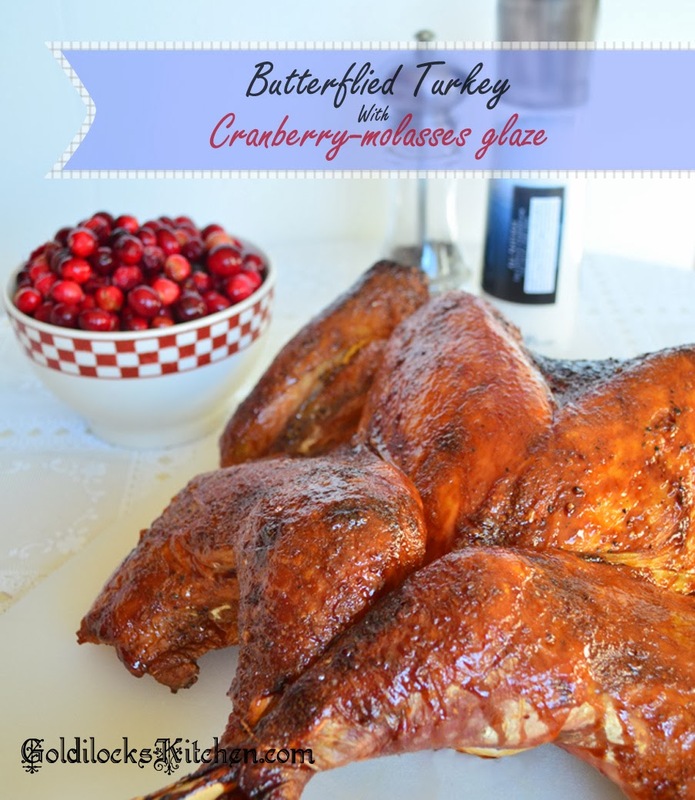 The unique approach of butterflying your bird (or as some say ‘spatchcock’ the bird) presents more surface area for the cranberry molasses glaze to stick to. Roasted at a low temperature until fully cooked results in a beautiful, moist interior. A blast of heat towards the end sets the glaze and crisps the skin. So if you’re ready to depart from the ordinary turkey and serve an extraordinary bird , read on! Can you see the shine in the white meat? This turkey is moist! Cut right along the side of the backbone, through the ribs. Cut up the other side in the same fashion. Now flip it over and push hard! Now that your bird is successfully butterflied, poking holes in the breast and thigh meat speeds up fat rendering, leading to crispier skin. Rubbing Kosher salt under the skin seasons the meat and helps the meat cook up moist. It’s really important that the skin is as dry as possible to encourage browning, so you’ll blot as much moisture off as you can with paper towels. Applying a dry rub on the outside skin of the turkey consisting of Kosher salt, pepper and baking powder adds more flavor and helps dry out the skin further so it will turn out crispy brown instead of soggy and limp. 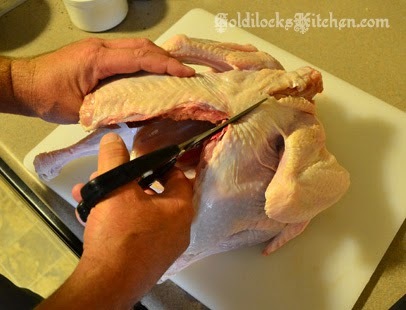 Tie the legs together with kitchen twine and tuck the wing tips under the breast, as shown. Now you’re ready to roast your turkey! If your roasting pan doesn’t have a rack that can be inverted and still fit in the pan, (see picture at left) no problem! There are a couple alternative options. One, take the rack out and place onion halves under each breast and thigh to elevate the bird from the bottom of the pan. (You’ll need two onions each cut in half. ) 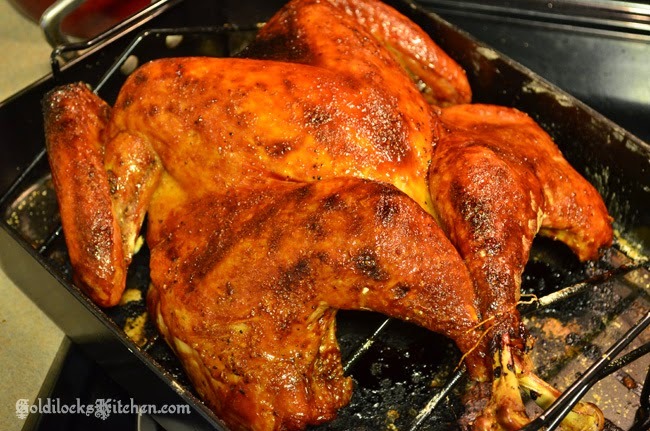 Or Two, set a cooling rack inside a rimmed baking sheet and place the turkey on that to roast. 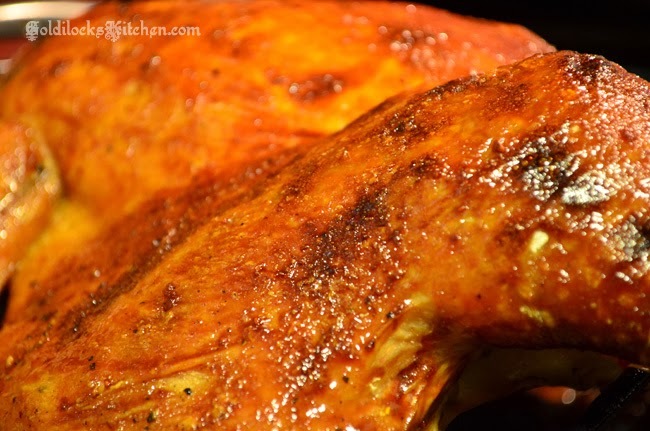 Fully cooked AND glazed turkey. Isn’t it a beauty? When the turkey is done, it’s important to let it rest. As the meat cools, the juices ‘settle’ or collect back into the muscle tissue, creating great moist meat. While it’s resting, you can move on to creating your glaze. Waiting to apply the glaze after you’ve fully cooked the turkey allows the skin to crisp up first. Blasting it with high heat will concentrate and thicken the three coats of glaze. Cranberries cooked in molasses, thinned with apple cider, apple cider vinegar, fresh ginger, and Dijon mustard are reduced on the stove top to create a beautiful and flavorful glaze. Plus, you can use what’s left to create a lovely drizzling sauce to pass around the table. If you are feeding a crowd, and are cooking a larger bird, you’ll want to adjust the recipe for the size of the bird. 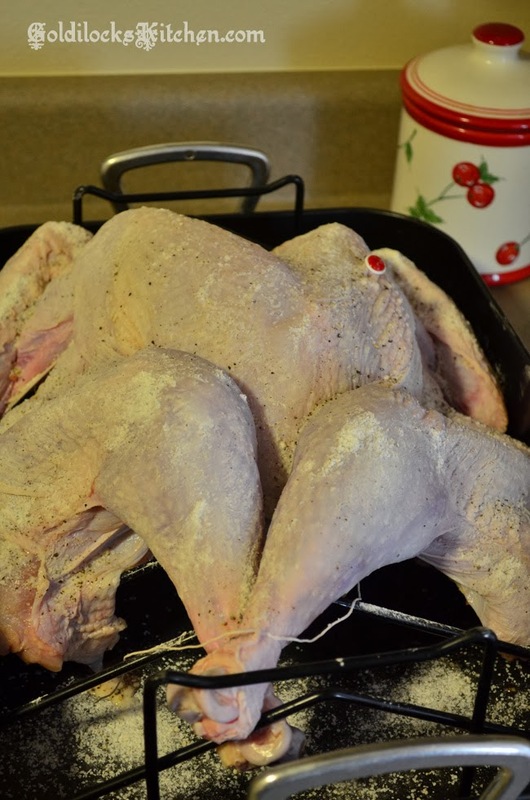 This recipe is written for a medium-smallish turkey. Either 1 and 1/2 the ingredients or double them to ensure that you have enough glaze for your larger turkey and that it is properly seasoned. Your guests will be so impressed with the incredible flavor and moist meat of this turkey recipe. Seasoning the meat well and crisping the skin while adding great complimentary flavors takes turkey to a whole new level of goodness. With a wooden skewer, poke 15 to 20 holes in the breast halves and thighs. Flip the bird over and rub the bone side of the turkey with 2 teaspoons of Kosher salt and 1 teaspoon of pepper. 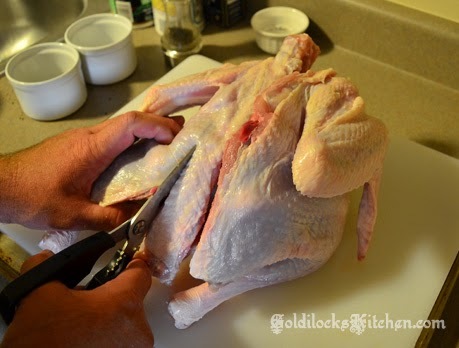 Flip turkey skin side up and separate the skin from the meet using the handle of a wooden spoon or your fingers. Rub 1 tablespoon of salt evenly under the skin. Tuck the wing tips under the breast. 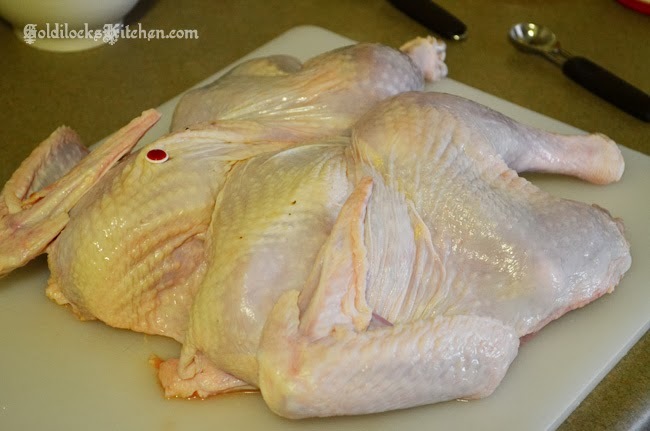 Push the legs up to rest on the lower portion of the breast and tie the ends together with kitchen twine. Combine the remaining tablespoon of salt, remaining tablespoon of pepper and baking powder in a small bowl. With a wad of paper towels, blot the skin dry. Rub the entire surface of the skin evenly with the baking powder mixture. Place the turkey in your roasting pan, either on the inverted rack or onions and allow the bird to stand at room temperature for about an hour. About 10 minutes before the end, preheat your oven to 275 and move an oven rack to the lower-middle position. Roast the turkey until an instant read thermometer registers 160 degrees inserted in the thickest part of the breast, and 175 degrees in the thickest part of the thigh, about 2 and 1/2 hours. While the turkey is roasting, move on to cooking the glaze by combining all ingredients except butter in a large saucepan. Bring to a boil over medium high heat. Cook, stirring occasionally, until reduced to 1 and 1/2 cups, about thirty minutes. You'll know it's done when it leaves a thin film coating on your spoon. Strain the mixture through a fine-mesh strainer into a 2 cup measuring cup. Press on the solids in the strainer to extract as much glaze as you can, and trash the solids that are left. Transfer 2/3 cup of glaze to a medium saucepan (to be added to gravy) and set aside. When the bird reaches the desired temperature, remove from the oven. Strain any liquid in the bottom of the pan into a fat separator. Pour just enough water back into the roasting pan to cover the bottom. This will prevent the bottom from burning during the glazing phase. Adjust the oven temperature to 425 degrees and let the turkey rest for about 30 minutes. Pour the drippings into the saucepan with the reserved glaze, discarding any remaining fat. Bring the mixture to a boil over medium high heat and cook until it thickens slightly, about 10 minutes. Remove the pan and finally whisk in the butter. Carve the turkey and serve, passing the sauce with it.